The ability to capture customers’ needs and the voice of customers, and to translate them into a set of product specifications that at best satisfy the target customers has increasingly become a key element of business strategy. The common practice consists in evaluating products at the end of the design process through physical prototypes with the participation of users and potential customers. The same practice can be implemented by using virtual replica of real products, reducing cost and time necessary to build some variants. The paper presents a methodology for the development of the virtual prototype of a piece of furniture, produced by a company that is interested in studying how customers perceive and evaluate some variants of the hinge mechanism. 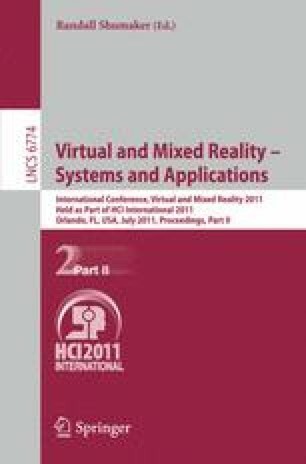 The virtual prototype has been implemented using a tool for virtual reality applications oriented to non-expert programmers. The modularity and flexibility of the approach used for implementing the virtual replica has allowed us to re-use the components, and to easily change the parameters, also during the test activities.